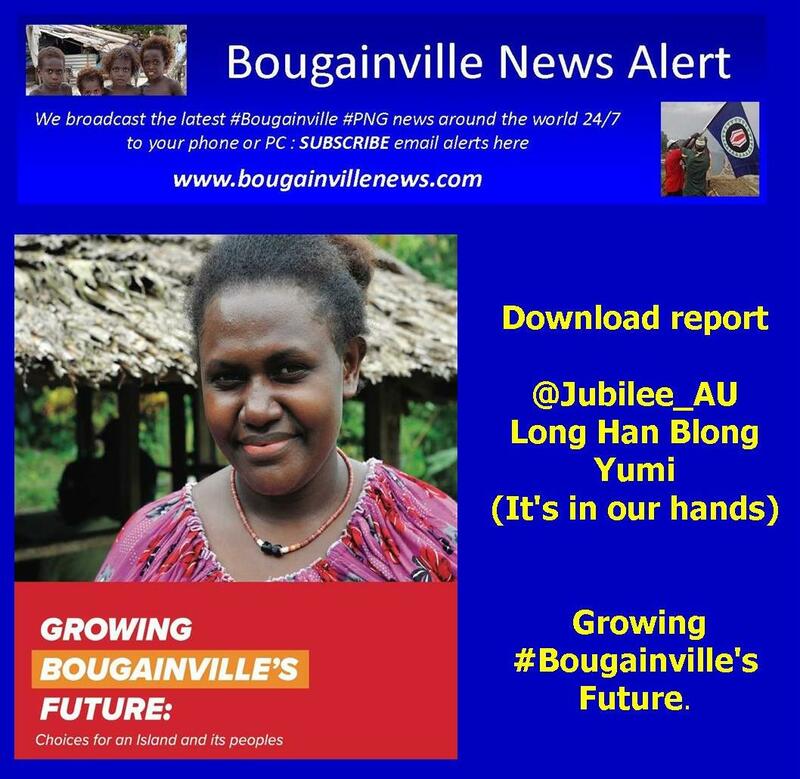 Bougainville News : Download report and watch video @Jubilee_AU Long Han Blong Yumi (It’s in our hands) and report, Growing #Bougainville’s Future. Jubilee Australia has just launched a major report, Growing Bougainville’s Future, which examines the economic development paths for Bougainville. Bougainville fought a brutal Civil War from 1989-1997 which claimed the lives of up to 20 000 people, and tens of thousands more were displaced. At the core of the conflict was the Panguna mine, a massive copper and gold mine that had serious socio-economic, environmental and cultural impacts. 20 years later, Bougainville is planning for a referendum for independence from Papua New Guinea. Simultaneously, there is a heated debate about re-opening the Panguna mine, based on the argument that independence requires economic self-sufficiency, and mining is the only way to achieve that. As shown by our report Voices of Bougainville, many local communities do not want to re-open the Panguna mine, and our research shows that this is not the only development option for Bougainville. Bougainville can pursue a development path that is more sustainable and broad-based, and this film explores that option. Bougainville: Long Han Blong Yumi (It’s in our hands) is being published along with a report, Growing Bougainville’s Future. The report explores many of the same issues as the movie, and together we hope they contribute to facilitating an informed debate on Bougainville’s development options. This report is being published along with a short film, Bougainville: Long Han Blong Yumi (Bougainville: It’s In Our Hands), which covers many of the same topics as the report.